Simon Lindley was appointed Conductor of Sheffield Bach Choir in 2009 and, as such, is hugely enjoying the renewal of associations with the city where his grandmother was born – and lived until her marriage on 20 June 1916 – and in which two of his cousins have made their homes in more recent years. Dr Lindley served recently as Centenary President of Sheffield Organists’ and Choirmasters’ Association, founded in 1913. President of the Campaign for the Traditional Cathedral Choir, Simon is a former President of the Royal College of Organists, of the Incorporated Association of Organists and of Leeds Organists’ Association. He is Organist Emeritus of Leeds Minster [where he served as Organist and Master of Music from 1975 until 2016] and Director of St Peter’s Singers, one of England’s finest chamber choirs – based at the Minster since its formation forty years ago in 1977. He is also Conductor of Doncaster Choral Society, to which post he was appointed in Autumn of 2010 and celebrates this year twenty years as Music Director of Overgate Hospice Choir, Halifax. In July 2012 an honorary doctorate of the University of Huddersfield was conferred upon Simon Lindley in recognition of his contribution to choral singing locally in Yorkshire, nationally and internationally. He also holds a doctorate of Leeds Metropolitan University and honorary fellowships from a number of musical institutions including the Royal School of Church Music, the Guild of Church Musicians and Leeds College of Music. 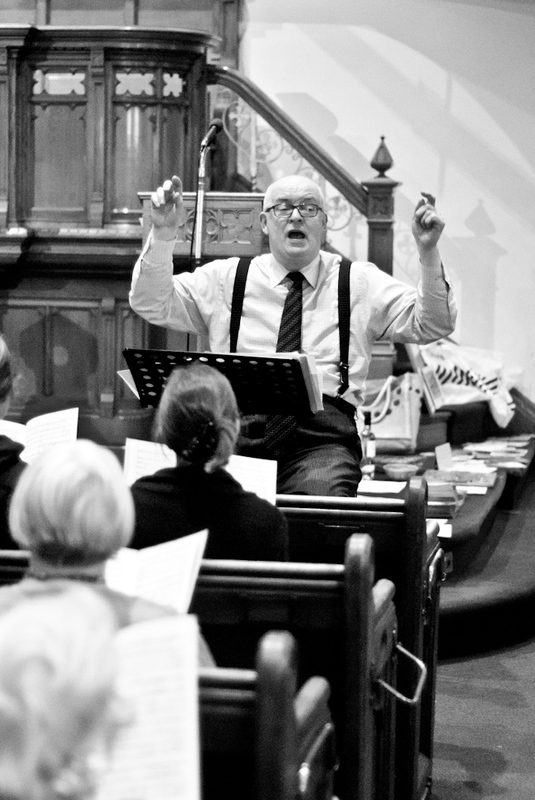 Simon’s earliest significant conducting experience was in the City of London and at St Albans – he retains to this day very strong links with both, and his work with community choruses and brass bands is widely-acclaimed. An extensive discography includes recordings with his Leeds-based choirs and two best-selling Naxos CDs as a solo organist including Handel Concertos with Northern Sinfonia. One of Britain’s most popular musicians, Dr Lindley is a Freeman of the City of London and a Liveryman of the Worshipful Company of Musicians. He is an elected member of the Trustee Council of the Royal College of Organists and other trusteeships include the Pilling Trust, The Halifax 900 Trust, the Friends of the Music of Leeds Minster and the Ecclesiastical Music Trust [of which he has been Chairman since 2004]. From 2010 to 2012, Simon served as Grand Organist to the United Grand Lodge of England and is still in post as Provincial Grand Organist to the Masonic Province of Yorkshire, West Riding, an office he has held since 2010. More information about Simon can be found on his personal website www.simonlindley.org.uk and on his Wikipedia site.